Does My Small Business Need a Benefits Consultant? Big or small, companies of all sizes can gain from working with a benefits consultant. A benefits consultant is a professional whose job it is to advise business clients on various work topics, such as health insurance and employee benefits. Most benefit consulting firms offer their services on a fee-for-service basis that is outlined in the client’s scope of work. What makes benefits consultants favorable among businesses is that they are not partial to any one insurance company. Most of these consultants work with all insurers to maximize the value for their clients. Learn more about what a benefits consultant does and why you may need one for your business. What Exactly Is a Benefits Consultant? In short, a benefits consultant advises employers about employee benefits like group insurance. They can also guide employers in the right way as they try to navigate the complex nature of benefits packages. An experienced benefits consultant will also negotiate with vendors on your behalf and can help you keep up with current health insurance regulations so that you do not fall behind. With the right benefits package put together by a consultant, you can also provide your employees with a great incentive. A benefits consultant can provide business owners with a number of benefits, starting with their extensive knowledge. When you work alongside a benefits consultant, you can obtain an in-depth understanding of your business and the way that your employees think. This will allow you to better put together a benefits package that is attractive to existing employees and new job applicants. A benefits consultant can also provide business owners with advice on the insurance marketplace including trends and changes that could affect their company. Benefits consultants offer a wide range of services to help business owners build their company. Some of these services include plan design development, financial accounting audits, benefit plan financial management, vendor service monitoring, taxation support, insurer claim audits, and health and wellness consulting. Most importantly, a benefits consultant can help your company grow. Know that even though you may be a small business now, a benefits consultant can provide you with the tools and resources necessary to reach larger growth in the future. Consider this when deciding whether or not you are willing to make room in your budget for a consultant. There are many reasons businesses rely on benefits consultants when creating the perfect benefits package. First, know that benefits consultants are natural problem solvers who are constantly doing their best to keep you ahead of the curve. Health benefit requirements are constantly changing and employees now look for different benefits when interviewing for jobs. Benefits consultants remain up-to-date with these changes to ensure that your growth is in the right direction. They also have unmatched experience in their field, meaning they likely have the answers to many of your questions and concerns regarding workplace benefits. 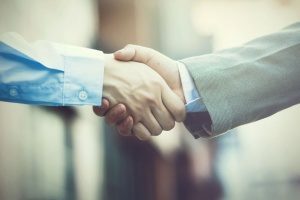 Benefits consultants also know the value of building relationships not only with their clients but also with vendors and insurance carriers. This can be highly beneficial to businesses by giving them insider information and the upper hand when making changes in their company. Consultants also have access to a wide selection of market statistics that are often not easily accessible by businesses who do not work with benefits consultants. When you have more information, tools, and resources available to you, you can more effectively grow your business in the right direction. While most benefits consultants offer similar services, not all provide the same level of customer service. When shopping around for benefits consultants, you will want to use caution and look for certain qualities and characteristics. First, you want a consultant who is highly knowledgeable. This type of knowledge typically comes from a combination of training, on-the-job experience and a passion for growing businesses through the creation of benefits packages. Health marketplace conditions, risk management, and compliance should all be topics that your benefits consultant knows inside and out. As the benefits industry is also regulated by various laws, your benefits consultant should also be aware of the legal aspects surrounding these topics. You should also look for a benefits consultant who is willing to collaborate with you. Building up and maintaining a professional relationship with your benefits consultant is important for long-term success. Also look for a consultant who is transparent in the way that he or she does business. Your benefits consultant should be open and honest with you about the services that the firm provides and the prices attached to these services. This can help you create peace of mind knowing your business needs are being met. A credible benefits consultant will not only have knowledge about certain subjects but will also possess the skills needed to share this knowledge. Good consultants are willing to educate their clients about the benefits of various services and how building an attractive benefits package could attract a group of talented job applicants. They will also have the ability to explain difficult concepts to you and your staff in a way that is easy to understand. A benefits consultant should also have the ability to manage the plan you choose so that you are better able to reach your goals. Statistics show that employers allocate an average of 32 percent of an employee’s compensation to benefits. If you wish to simplify your complex benefits problems and find ways to better reach your goals, you may want to consider hiring an experienced benefits consultant. The right fit for you will primarily depend on your short-term and long-term goals and overall business objectives. You will also want to choose a benefits consultant who has a long track record of delivering on his or her promises. Contact a benefits consultant in your area to see how you could benefit.